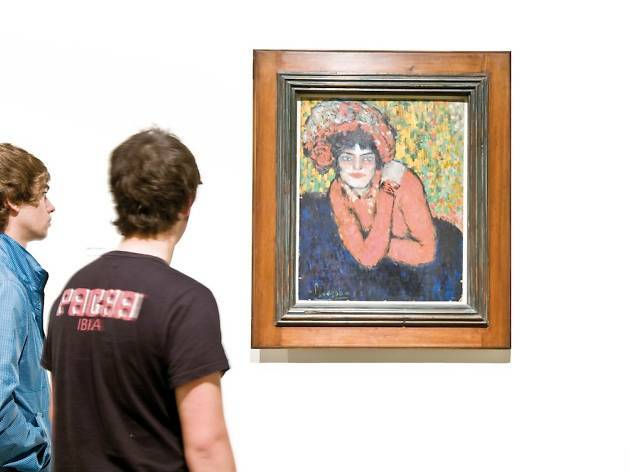 Who leaves Paris without paying a visit to the 'Mona Lisa'? 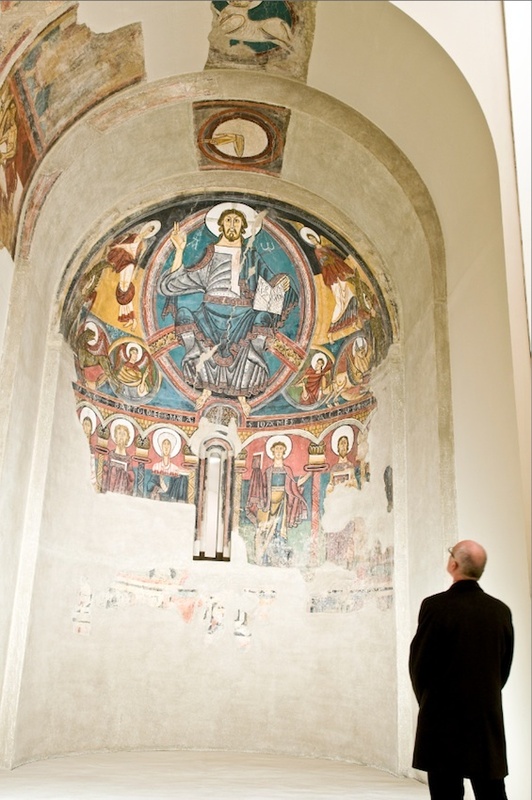 And yet plenty of people pass through Barcelona without seeing the great 'Pantocrator' by the Master of Taüll. 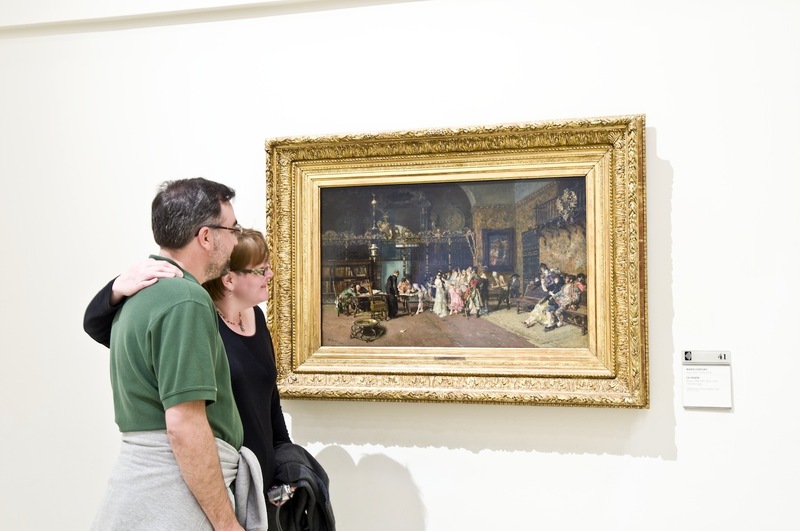 Barcelona may not have anything on the scale of the Louvre, but its many museums and foundations contain works that bear comparison with the best in the world, and attract visitors from all over. 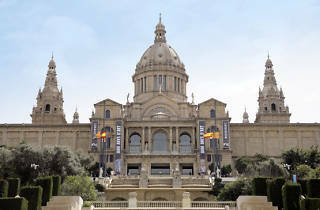 The Museu Nacional d’Art de Catalunya (MNAC) has one of the finest collections of Romanesque art anywhere, centring on spectacular mural paintings dating from the 11th to the 13th centuries. 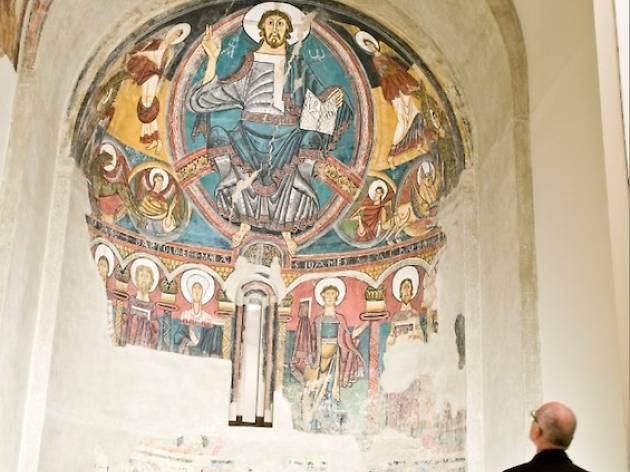 The murals were removed whole from churches around Catalonia between 1919 and 1923, to save them from damage or looting, and carefully reconstructed in the museum. 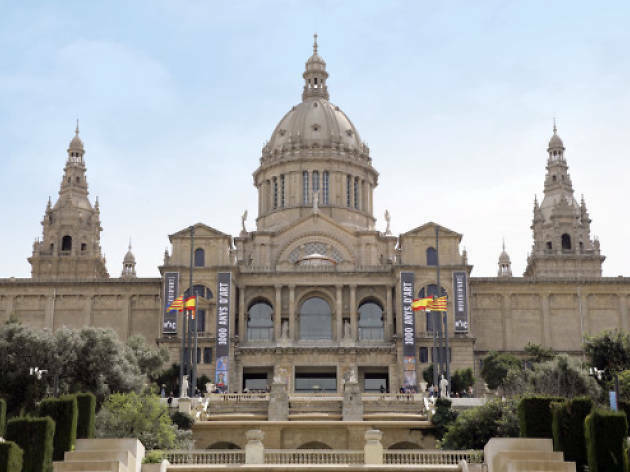 The MNAC’s stunning Gothic and Modernista galleries, representing two of the region’s richest and most interesting artistic periods, are no less impressive. 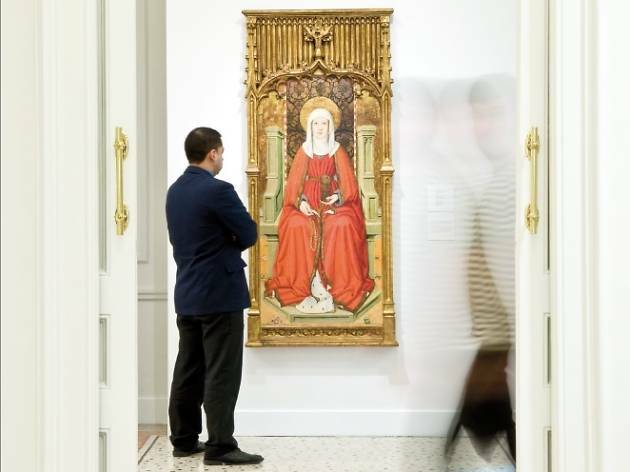 If the MNAC’s Gothic galleries leave you wanting more, the Fundació Godia’s small but remarkable medieval collection comes highly recommended. To bring the story up to date, the Museu d’Art Contemporani de Barcelona (MACBA) specialises in Spanish and Catalan art created since 1945. There’s also Can Framis, a brand-new museum given over to the Vila Casas Foundation’s collection of contemporary art. 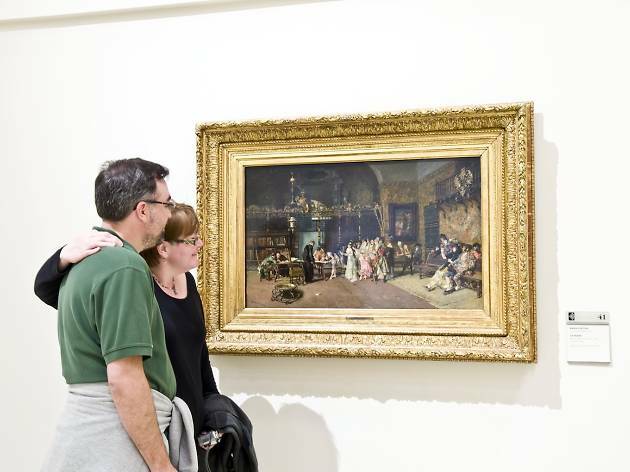 In combination, these provide a general overview of Catalan art from its roots right up to the present day. 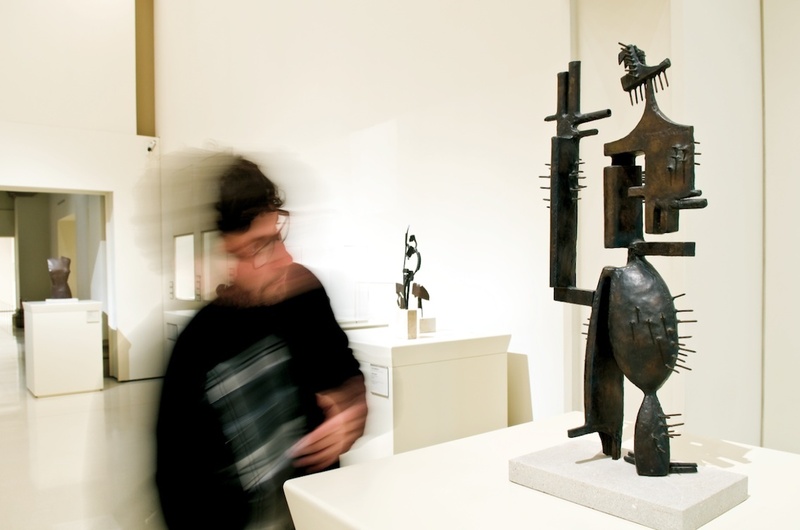 For those who want a fuller appreciation of 20th-century art, four of the greatest artists of the period – Pablo Picasso, Joan Miró, Antoni Tàpies and Joan Brossa – have strong connections to Barcelona, and each is represented by significant collections in the museums and foundations that bear their names. So as not to overwhelm you, we’ve narrowed down this ample field, focusing on painting and sculpture on display in permanent collections. 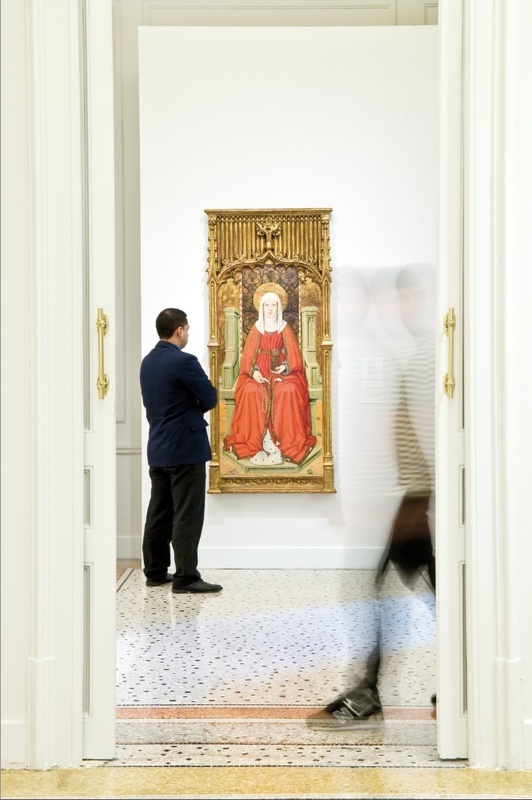 Barcelona’s museums concentrate on Catalan art, and this selection reflects that. These are the most representative works of artists who have left their mark on the region’s culture. 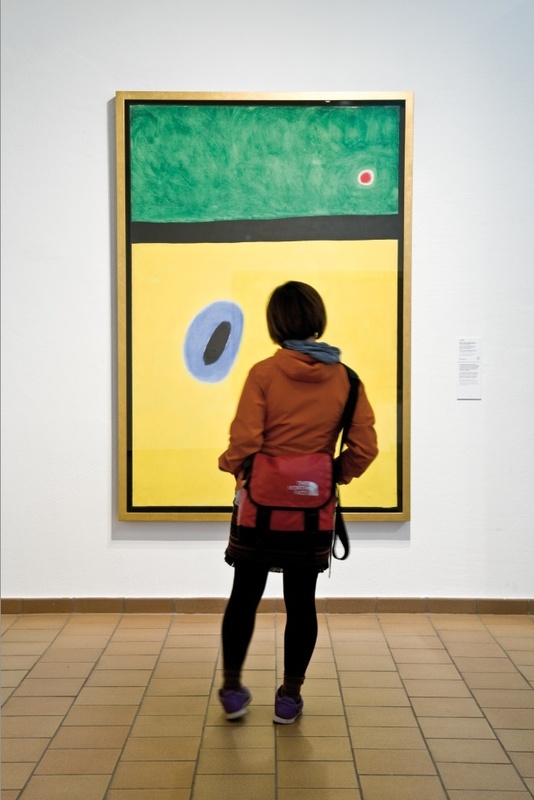 Many of the works on display at the Miró foundation belong on this list. So why this one? Because few express so perfectly the artist’s desire to ‘achieve the maximum intensity with the minimum means’. 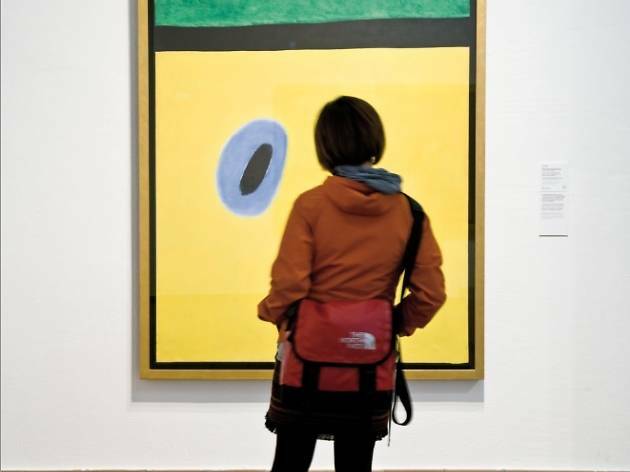 In his later period, Miró painted enormous canvases, stripping down and simplifying his style, intensifying his use of colour, and condensing his personal visual language. As always with Miró, the subject of the painting (whose full title is 'The Lark's Wing, Encircled with Golden Blue, Rejoins the Heart of the Poppy Sleeping on a Diamond-Studded Meadow') is not represented literally: instead it is suggested by a constellation of symbols. The landscape genre provided a framework for many of Miró’s works, but in this case the format is vertical rather than horizontal, almost suggesting a bird’s-eye view. This outstanding Romanesque piece is arguably the most emblematic artwork in the city. The largest work in this selection, it is also the oldest, although it radiates a raw modernity. The raw power of these colours and geometric forms has influenced 20th-century artists from Picasso to Picabia. While contemporary viewers may struggle to identify biblical scenes, the image retains its aura of power. The jagged crack that crosses the main image like a lightning bolt, as if illustrating the inscription 'Ego sum Lux Mundi' (I Am the Light of the World), also suggests a root, and the physical uprooting of the mural itself, which was transported from the remote Valley of Boí in the Catalan Pyrenees. 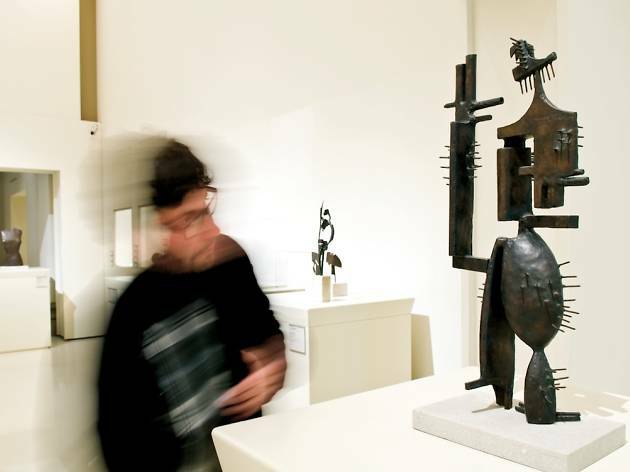 For some a master, for others a monster, Picasso’s influence dominates the 20th century. His early years were characterised by his voracious appetite for new styles, which he assimilated and mastered with dizzying speed, before surging forward again. But who was Margot? Who is she waiting for, leaning on her elbows, her glittering eyes half-closed. 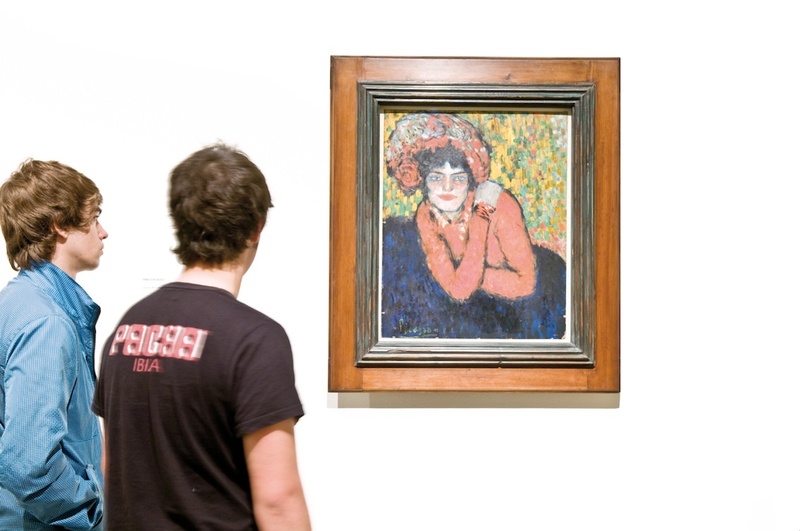 Also known as 'The Morphine Addict' or 'Pierreuse' (slang for 'prostitute'), this is a vivid image of Picasso’s first contact with the bohemian nightlife of Paris. The brushstrokes modelling the face are curt and energetic; in the background they are looser, conjuring the kaleidoscope of the night. Mixing the influences of the pointillists, Toulouse Lautrec and Van Gogh, it’s the work of a young Picasso taking his first steps towards recognition outside Spain. 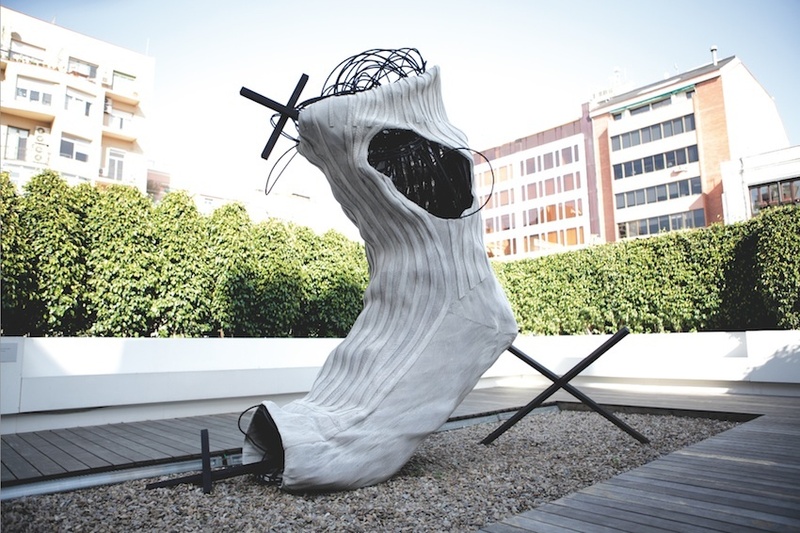 Antoni Tàpies made few public sculptures, but 'Sock' is – or could have been – the exception. In 1991, as one of Catalonia’s most prestigious living artists, he was invited to create a sculpture for the huge oval hall inside the museum. But the prospect of an 18m holey sock caused such a n outcry that the project was cancelled. In 2010, the Tàpies foundation presented a 2.85 metre version of a work that pays tribute to simple, everyday things. 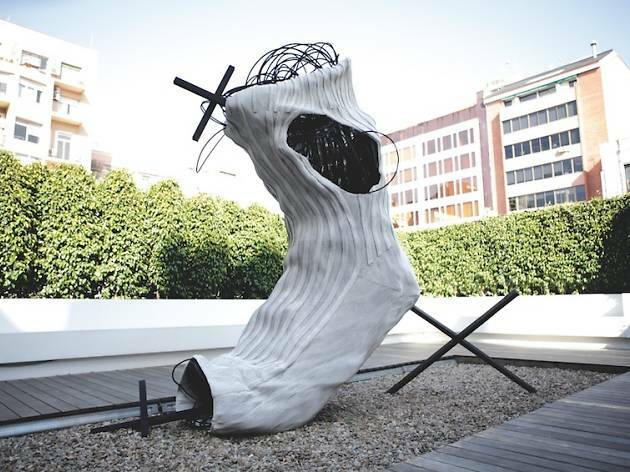 Turning a humble, functional sock into a monumental sculpture invites reflection on the hidden power of ordinary objects, but also on the artist’s experience of old age, a time when straightforward actions – like putting on a sock – become a reminder of mortality. Virginal she may not be, but with her worldly and direct gaze, Mary Magdalene is here painted as a lady of the royal court, with the attributes of the Virgin Mary. She sits on her throne, resplendent in the robes of a queen, holding a rosary, within a gilded frame with fine fluted columns in the purest Catalan Gothic style. The painting confers an air of regal mystery beyond that of her simple halo. The light around her face and smooth folds of her robes show the influence of Italian naturalism, while the meticulous detail draws on the Flemish tradition. The elegance, fragility and refinement of his work have earned Huguet a place as one of the greatest Catalan Gothic painters. Though he died at 36, Fortuny is considered the greatest Spanish painter of the 19th century after Goya. The state funded his early studies in Rome, and commissioned large-scale paintings of the Spanish-Moroccan War of 1859. His travels in Northern Africa made a huge impact, turning him into one of Spain’s greatest Romantic painters of the Orient. After 1866 he turned to scenes of Spanish manners and customs, such as this one, set in a richly decorated 18th-century sacristy. 'The Spanish Wedding' shows off Fortuny’s technical virtuosity, his mastery of light and his fascination with costume and period details. Considered the finest example of his mature style, 'The Spanish Wedding' catapulted its author to international fame. A starkly dissected body erupts into spikes, as World War II breaks out in Europe. Juli González was a leading figure in the Parisian avant-garde, and a pioneer of the use of welding and cutting techniques to create sculptures in iron. This fragmented figure, undergoing its symbolic metamorphosis, breaks with traditional ideas of symmetry, creating an interplay of contrasting forms and suggesting a new concept of volume. In González’ cubist investigations he sliced and folded sheet metal, using iron bars to ‘draw in space’ and create the wiry artworks that won him international fame. In 1989, a year before his death of Aids-related illness, pioneering grafitti artist Keith Haring came to Barcelona to paint a striking mural on a wall in the Raval, then a rough area known for its drug culture. 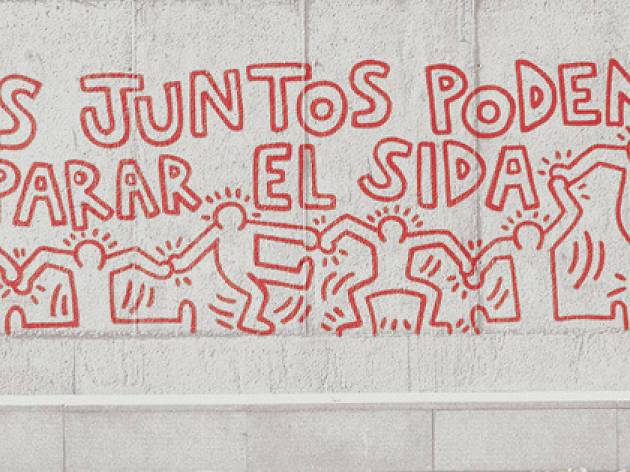 The spot suited his message, ‘Todos Juntos Podemos Parar el Sida’ (‘Together We Can Stop Aids’). The mural was not preserved to make way for an urban renewal project, but a full-scale tracing was done. Now it’s back for all to see, reproduced by the MACBA.